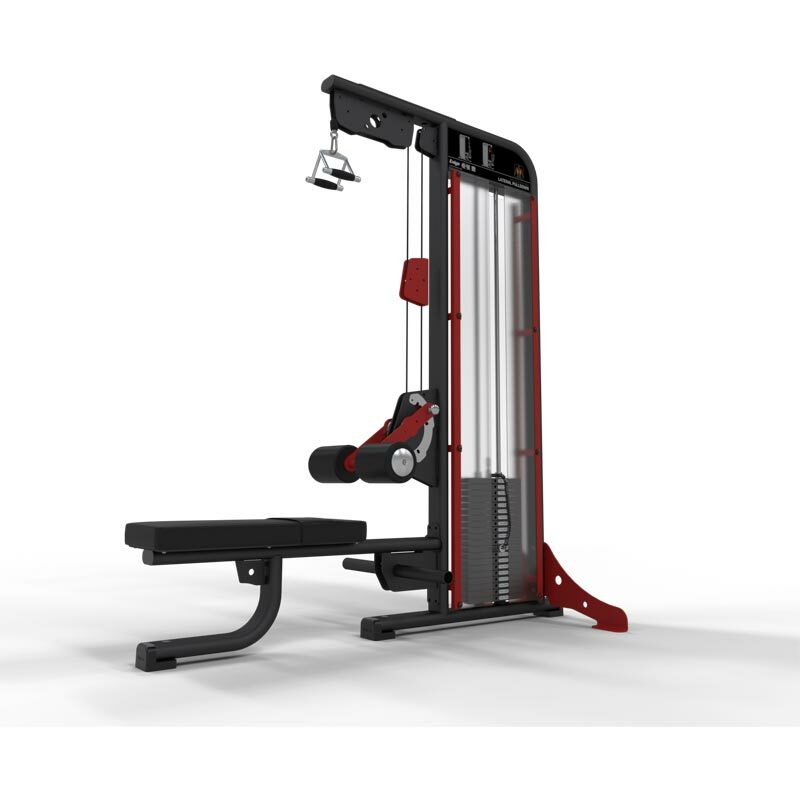 The Exigo Lateral Pulldown Low Row is a combination machine designed to target the muscles in your back, chest and arms. The positioning of the overhead cable isolates the lateral muscles and creates a superior downward pulling exercise. Comfortable adjustable pads and intuitive foot placement help keep the user secure and stable. One of Exigo's most popular combination machines. Adjustable pads help keep any size user secure when lifting more than their own body weight. Overhead cable positioning isolates the lateral muscles and creates a superior downward pulling exercise. Large aluminium foot plates help keep user stable during exercise. Longer length seat to suit all sizes of users. 125kg Stack, instruction plaque highlighting exercise and muscle groups targeted.